Radiance of the Seas, the original Radiance Class ship in Royal Caribbean's fleet, is a beautiful vessel that's sure to provide a fantastic vacation to all of its guests. 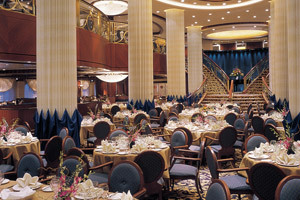 There are many dining venues aboard Radiance of the Seas. 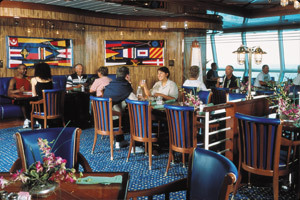 For instance, there's a two-level main dining room (where you can choose to be places in either an assigned or open dining format for dinner), a couple of upscale specialty restaurants (Portofino and Chops Grille), a pizzeria, and the Windjammer Café (which has a large buffet, with a variety of tasty options to choose from). Of course, there's always 24-hour room service available, a great option for those looking for a casual snack in the comfort and privacy of their stateroom or suite. 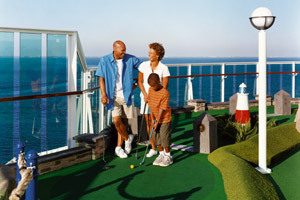 While on a Radiance of the Seas cruise you'll see that there's many things to do. Aurora Theatre is the ship's three-level main show lounge, where a live performance takes place on each night of the cruise. Possible shows include Broadway-style production shows, comedians, magicians, dancers, singers and even game shows (often involving the participation of guests from the audience). Also on board this ship are swimming pools, whirlpools, a casino, duty-free shopping boutiques, full-service day spa, fitness center and internet cafe. 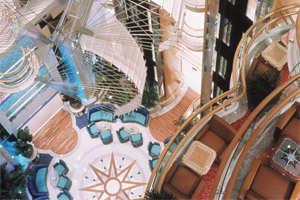 During the summer of 2011, Radiance of the Seas received many exciting enhancements. New dining options were added, including Giovanni's Table, Samba Grill, Rita's Cantina, and Park Café. Also added to the ship during this period was Royal Babies and Tots Nursery, the Diamond Lounge (featuring complimentary breakfast and an evening open bar, exclusively for Diamond and Diamond Plus Crown & Anchor Society members), and a variety of technology enhancements. 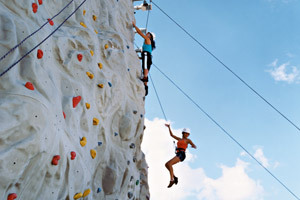 Those on a Radiance of the Seas cruise that are looking for some excitement can try climbing the ship's large rock wall. There are paths of different difficulty levels, which allows guests of all skill and comfort levels to give it a shot. 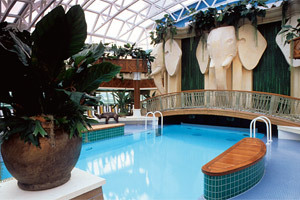 There is a fantastic youth program available on all Radiance of the Seas cruises. On this ship is a spacious playroom, filled with toys, games, books and many fun activities. There's also a teen center on board, with a lounge and video arcade that's sure to provide a great time for your teens during the cruise. If you're feeling lucky while on a Radiance of the Seas cruise, you may want to spend some time at the ship's large casino. Among the popular games are slot machines, poker, craps and roulette. There may even be a few gaming tournaments during the cruise, such as Texas Hold'em. 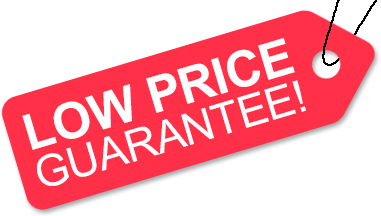 Low Price Guarantee on all Radiance of the Seas Cruises! Book any Royal Caribbean cruise with us and you'll get the best deal possible, regardless of the ship or sail date! Because of our "Low Price Guarantee," nobody beats our Radiance of the Seas cruise prices, so look around and you're sure to find the best Radiance of the Seas cruise deal possible when booking with us! 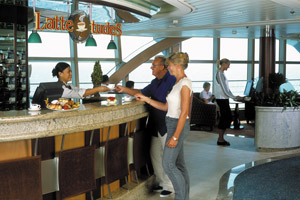 Pre-Paid Gratuities on Radiance of the Seas Cruises! Radiance of the Seas Onboard Credit Sale! Get an Onboard Credit when you book a Radiance of the Seas cruise with us. The value of the Onboard Credit depends on the particular cruise and accommodations you book. Onboard Credit values are listed on Step 3 of the online booking process. We do not charge booking fees on any cruises! You're sure to enjoy an affordable Radiance of the Seas cruise when booking with us! Our special offers on Radiance of the Seas cruises may not be combinable. Certain restrictions apply to each offer. View terms and conditions during the online booking process. Click a price below to view the Radiance of the Seas cruises during that month in that destination. Two bedrooms, one with two twins beds that convert to Royal King-size bed, one with third and fourth Pullmans, private balcony, two private bathrooms, one with shower, one with tub, living area with double sofa bed, and concierge service. 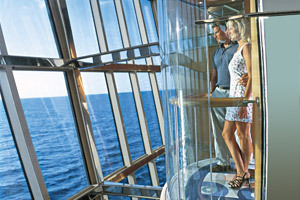 Please note: Most staterooms on deck 7 have an obstructed view. Staterooms 9252, 9254, 9652 and 9654 have partially obstructed views. Please note: Staterooms 8058, 8060, 8162, 8164, 8662 and 8664 have partially obstructed views. Deck plans are subject to change. The deck plans of Radiance of the Seas provided on this page represent those June 2015 through April 2016. For deck plans prior to or after this date range please contact Royal Caribbean directly. We reserve the right to correct errors. Please verify all information with the cruise line directly.